Marseille is the oldest city in France, so for history hunters and lovers of old places, there is no better destination than Marseille. Of course, Marseille has its newer parts too (which can be quite interesting as well), but if you stick to the old port, you will be surrounded by all the historic charm you need. 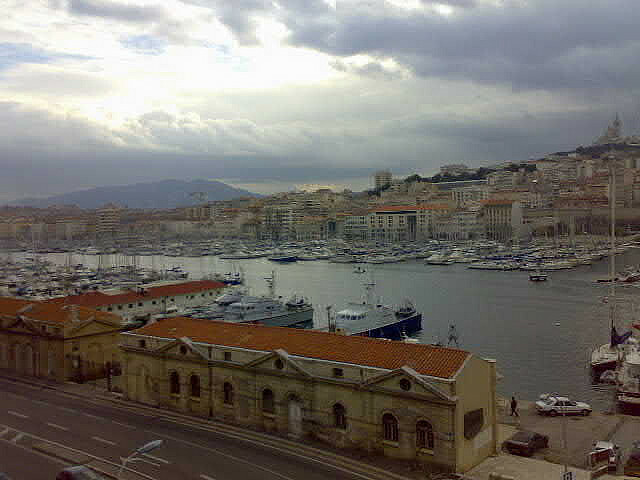 The Old Port has been the natural port of Marseille since the Antiquity, when the city was already an important port on the Mediterranean. This corner of the city is one of its most prized tourist attractions, but it is far from being a museum piece. 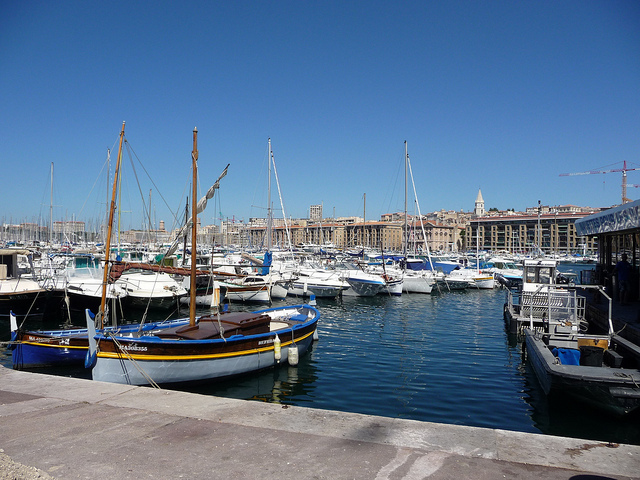 Exploring the Old Port of Marseille is like plunging right into the middle of the city’s daily chaotic life. 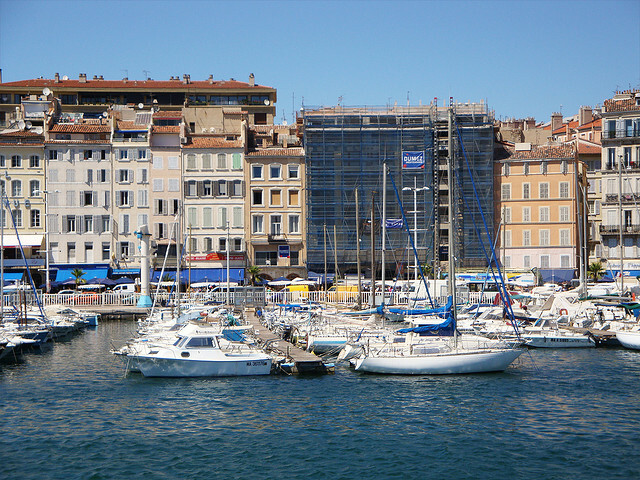 Around 600 BC, sailors from Greece discovered the cove of Lacydon and set up a colony there – this colony would become the Old Port of Marseille. The Greek trading post, or emporion, was just the first stepping stone for Marseille, who went on to become one of the most prosperous ports in the Mediterranean. In the Middle Ages, many quays and shipyards were built, and an arsenal and a fleet were established in the old harbor. 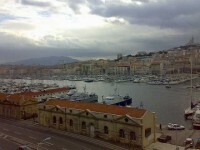 Marseille continued to be the center of France’s maritime trade until the 19th century. 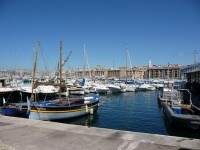 However, the Old Port was savagely dynamited during WWII, destroying most of the historic buildings. But the port was too precious to let it vanish, and after the end of the war the old quarter was restored. 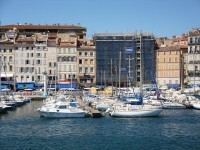 Walking around aimlessly and exploring the Old Port of Marseille is like passing through a living museum. However, as beautiful as even the ordinary alleys and streets are, there are several points of interest in the old port. The Abbey of Saint Victor on the south side is one of the oldest religious sites in France, named after a local saint, Victor of Marseille, whose origins can be dated back to the 5th century. 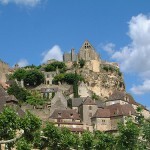 The current building, which is only part of the initial complex, was built in the 13th century. Phare de Saint Marie is another one of the port’s highlights, and it was built in 1855. 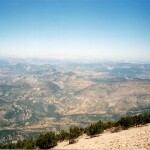 Although the lighthouse is inactive, it is still a nice tourist attraction. The Canebiere, a historic old street, is a one kilometer long street lined with historic buildings, running from the port to the Reformes quarter. When you’re in the quarter, you can also take a historic ferry between the two corners of the port, and look at the whole marina from afar.